When Lost Sphear’s English demo appeared on PSN, I initially made the assumption that this was just the English translation of the Japanese one I’d already played, so I put off playing it for a little while. When I finally got to it, I realised I was very wrong and that this demo not only showed a new area in Lost Sphear, but also expanded upon a few things I liked about it in the Japanese one. Most importantly, the new Lost Sphear demo did its job of getting me even more curious about it, so here are some things it expanded upon in the demo that makes its world and gameplay seem even more interesting. In the Japanese demo I played, Kanata receives his powers to use memories and unlocks a part of the first town, which made me think this kind of ability will be only used to unlock new areas. The new English demo proved me wrong, with Kanata able to unlock a bunch of things with his power, including treasure chests and breakable boulders. The premise is still the same; the idea is that the treasure chest or boulder being unlocked was something forgotten and Kanata has the power to remember them using different types of memories. I like the idea that even small things can be forgotten and unlocked in this world, and it makes for a very unique mechanic. Speaking of unlocking things with memories, memories aren’t just for one very specific place as I thought they were in the Japanese demo. In that demo, I thought that memories were very linear in design, with one memory being assigned to one place like a key item of sorts being how I interpreted the system. This might be the case with some places and memories, but Lost Sphear’s newer English demo shows that there are many types of memories that can be used together, still like special items but much less linear. 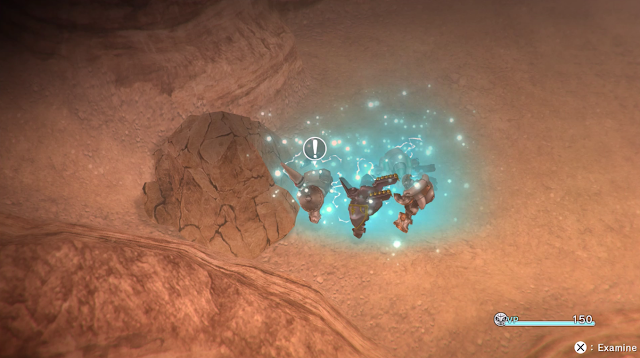 For example, when unlocking the memory of the boulder in this demo, it uses an Ore Memory and a Stone Memory to ‘remember’ the boulder, almost like a material of its own. It’s a cool idea that creates more possibilities within the system and the idea that remembering ore and stone can remember something bigger in this system is a pretty cool concept. You might’ve noticed in Lost Sphear’s trailers the interesting armour suits on some characters. There was even one available to try at the start of the Japanese demo, but I never thought of it as a separate character outfit or form, rather just the character wearing it was powerful. In the English demo, this armour is called a Vulcosuit and its a powerful mechanical armour that increases the stats of the wearer and allows them to break obstacles like boulders and use more powerful abilities in battle. The only catch is that using them uses up VP points and once you’re out of those, the suit needs to be recharged, so I found it much more useful to only use it when I needed it for obstacles or boss battles. Against the retro-inspired art style, the Vulcosuits definitely look more on the modern side and although my use of them was limited, I appreciated the usefulness and flashiness they provided to the simple visuals. It might be a small thing, but I noticed my favourite character from the Japanese demo Locke mysteriously absent in the English demo, which drew my attention to the changeable party members. In this English demo, the party can be changed multiple times, with at one point a character switching to lead the party instead of Kanata showing that at points you can expect to change both the party leader and members depending on what is happening in the story. I still wonder how many characters will be in the core party of Lost Sphear and what happened to my favourite Locke, but the inclusion of this was an interesting peek into this aspect. 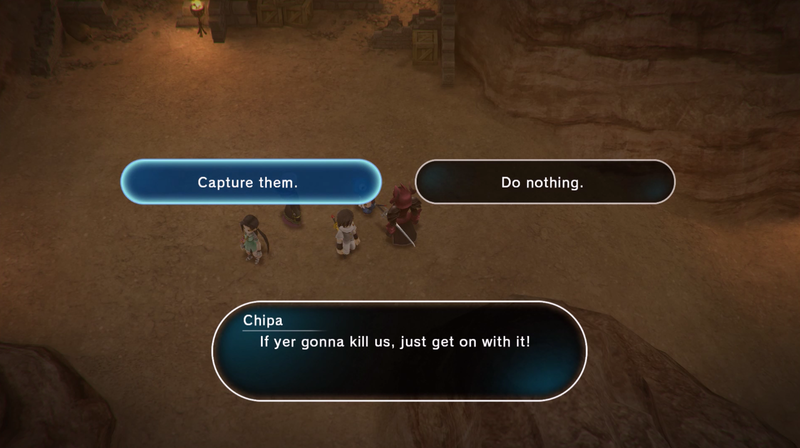 There is a side quest of sorts in the English Lost Sphear demo that involves capturing people on your way to the main quest. You can finish the demo without doing it being treated as choosing not to capture anyone, which is what I ended up doing after I hit a Game Over screen when I first attempted to beat the demo’s main boss and hadn't saved. My choice to not capture anyone was greeted with a humourous dialogue influenced by my decision and was a pleasant surprise to something I hadn't really thought about, making me curious about the alternative result. I like these kinds of branches in dialogues a lot, so I hope the showing of this kind of quest is an indicator there will be more like it in the final game. 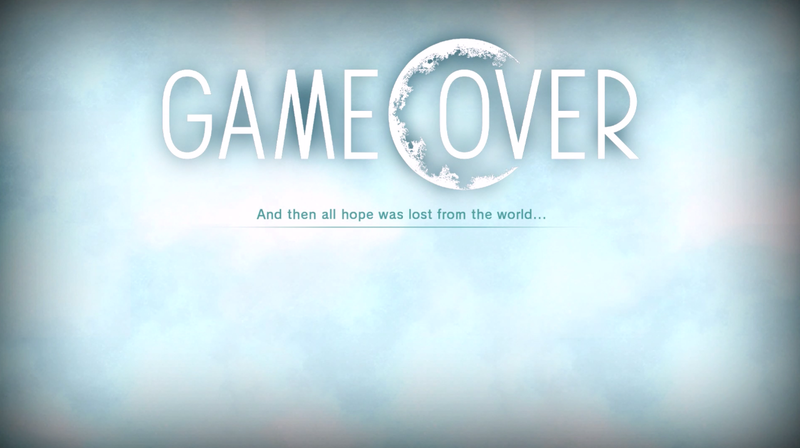 I mentioned in the previous point I hit a Game Over in my first attempt at finishing the demo and that’s because the boss battle finishing off the English one is very good in the way it requires strategy. 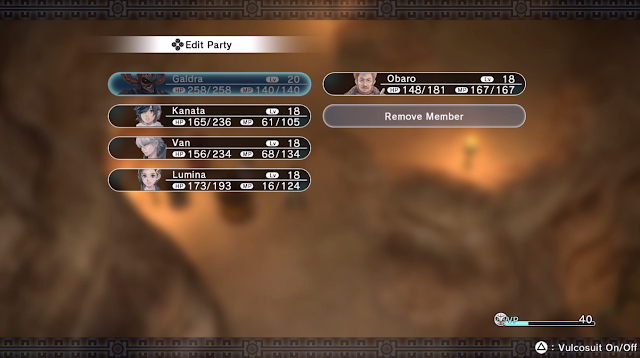 Putting my characters all next to each other resulted in a myriad of status ailments on my characters, so my second time around I understood I had to use the field more and up the amount of direction based attacks I was using, which saw me win and complete the demo. 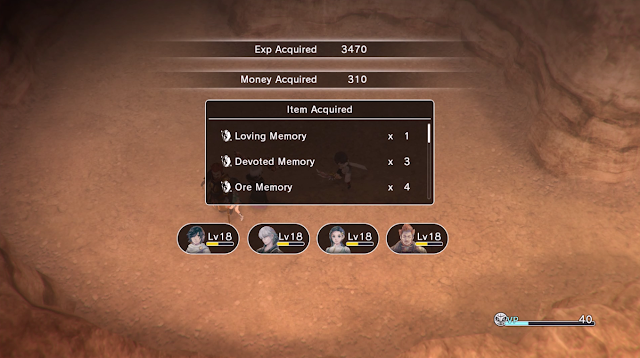 I also remember the final boss battle in the Japanese demo of Lost Sphear being a little challenging, so I take these as a good sign that the battle system will be fun to learn and get good at, and will require more than just special attacks and luck to get through it. One thing I really liked in Lost Sphear’s Japanese demo was that despite its sad premise, it had a few humourous moments to break things up and this was still evident in the English demo. 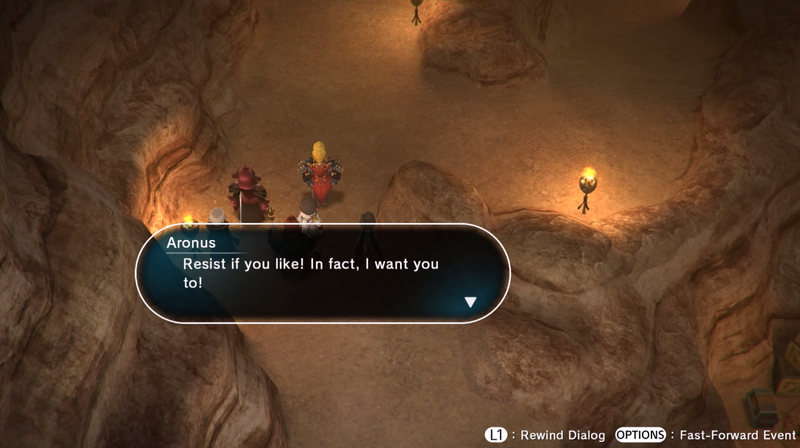 While the demo is pretty direct in its story objective, a character called Aronus made occasional humourous remarks and that was enough for me to still have the same feeling I did in the Japanese demo. Based on the two, I’m hoping that Lost Sphear balances humour in its sad story well and knowing that this story is more than is somber premise really helps me maintain interest with it as something I want to play. I might not be playing it immediately this month, but Lost Sphear’s English demo has reinforced all the things I liked about it and more to keep it in my thoughts for the future. You can pre-order Lost Sphear on Amazon and download the free demo on the Nintendo eShop and the PSN Store! 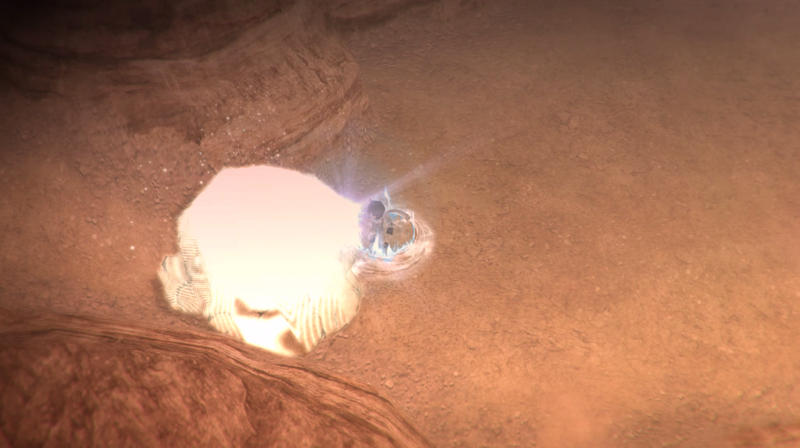 Did you play Lost Sphear's demo(s)? Will you be picking up the full game?